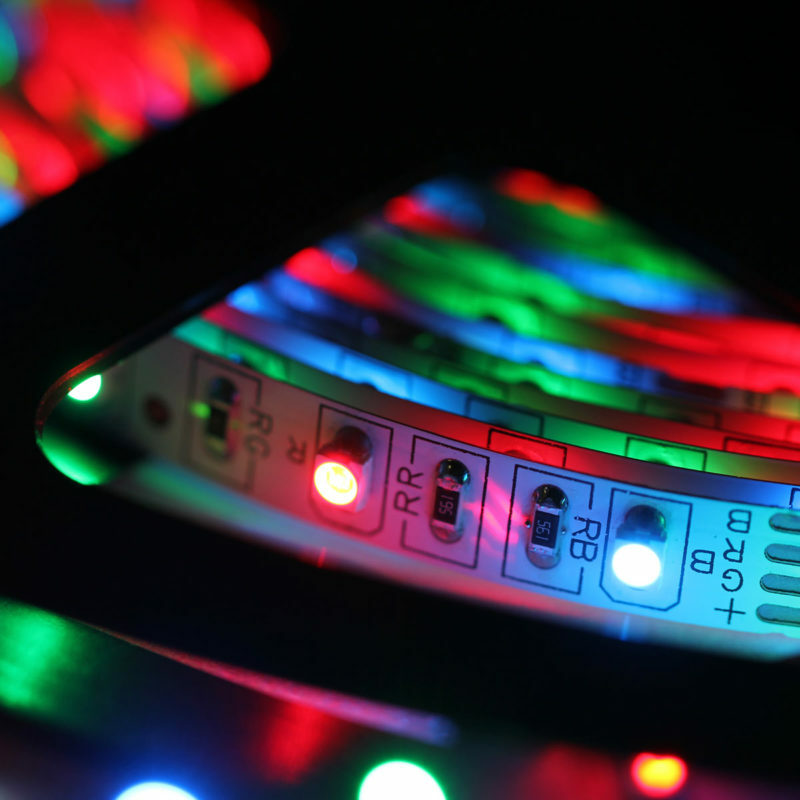 5M self adhesive LED Strips with RGB LEDs. 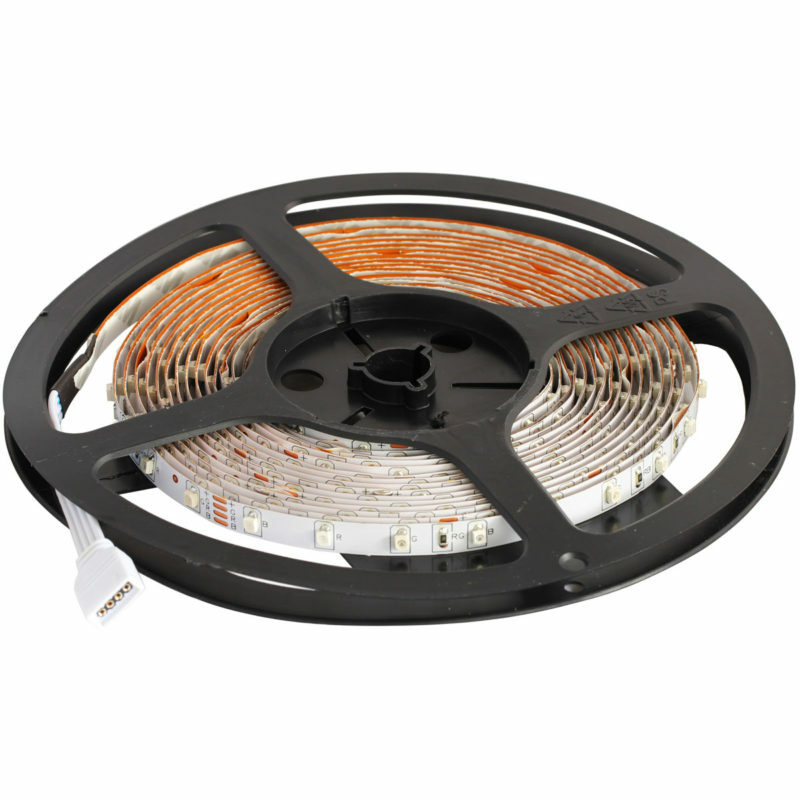 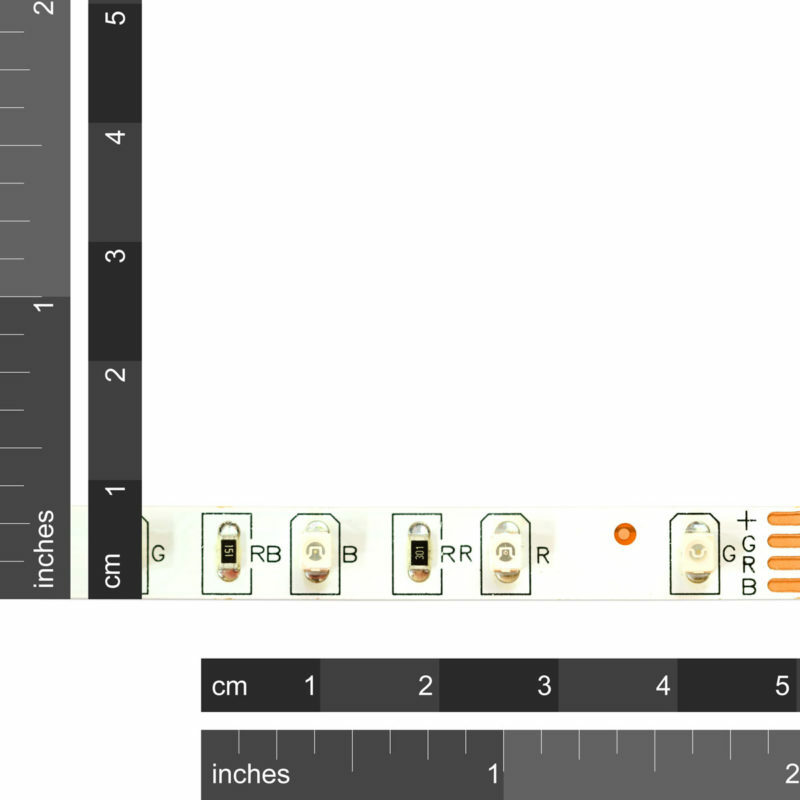 These strips have a common anode and a total of 300 LEDs per 5M roll. 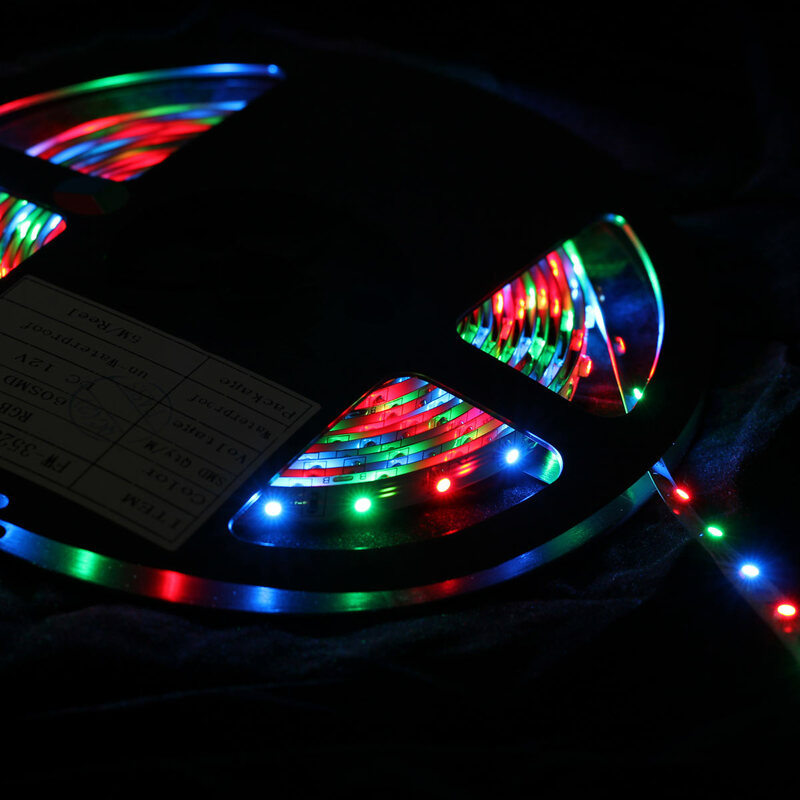 They can be cut to the length required and RGB channels can be mixed to produce the color you want.